To make north-eastern art and culture a part of Delhi’s ethos, the Delhi tourism department has collaborated with the Northeast Festival, which is to host its 3rd annual event at IGNCA, Janpath, from October 16 to October 18. Tourism minister Kapil Mishra said, “This year, tourism is the key focus and so in ensuring that, we will make north-eastern art, culture and heritage a key part of Delhi’s ethos. The festival will showcase various facets of the Northeast. We are inviting tour operators across Delhi and many foreign tourists are expected. 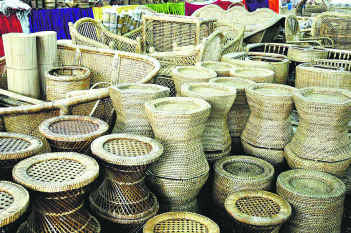 Various festivals of the Northeast will be showcased during the fest. Apart from showcasing the best that the Northeast has to offer, promoting and boosting tourism in the region will be the key focus of this year’s edition of the Northeast Festival. The “Northeast Festival” has become a brand which is synonymous with the unification of the various stakeholders of the Northeast under one dynamic platform. The event is expected to be attended by more than three lakh people and will include top Northeast icons, policymakers of the country, senior ministers in the Union Cabinet, chief ministers of various north-eastern states, top bureaucrats, intellectuals, students and tour operators among others. Besides tourism, the major attraction this year will be the commencement of the Northeast Festival Football Competition, the inaugural edition of which will be held at Jawaharlal Nehru Stadium from October 9 to October 15. Football is a major sport in the Northeast and has produced many of India’s top footballers. The competition will be a celebration of the association between the people of the Northeast and the wonderful sport. The competition will feature over 25 teams, comprising of college teams from the NCR region and the Northeast. The grand festival will have 40 musical bands, some of the best in India, and over 30 dance forms. It will be one of the biggest tourism festivals. The festival will also feature cuisines from the Northeast and various restaurants in the city, specialising in food from the north-eastern states. Visitors will be able to taste different kinds of food and buy regional groceries too.